At the beginning of the 20th century, the inhabitants of Cagliari preferred the western part of the Golfo degli Angeli. Then, little by little, as they began to appreciate the white dunes, the first establishments and a summer camp were created and, lastly, the famous bathing huts were built (completely removed in 1986). The area has become increasingly populated, earning it the name of 'SpiaggiadeiCentomila' (beach of a hundred thousand). 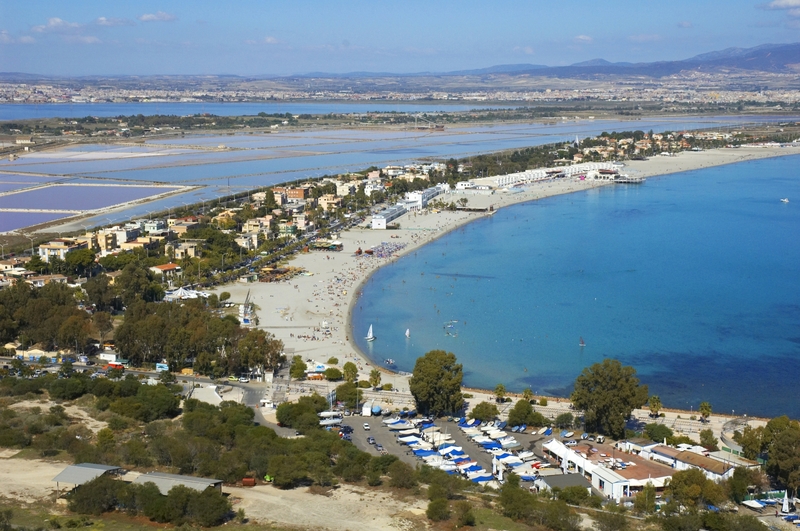 Today, Poetto is the undisputed 'sea' of Cagliari's hinterland and the favourite destination of visitors to the capital city in the summer and on any sunny day throughout the rest of the year. It extends from the Margine Rosso, on the Quartu Sant'Elena coastline,as far as Sella del Diavolo, increasing its charm by dominating the little port of Marina Piccola from above. You can access the promontory from Calamosca, via a one-hour itinerary, which is beautiful by night. 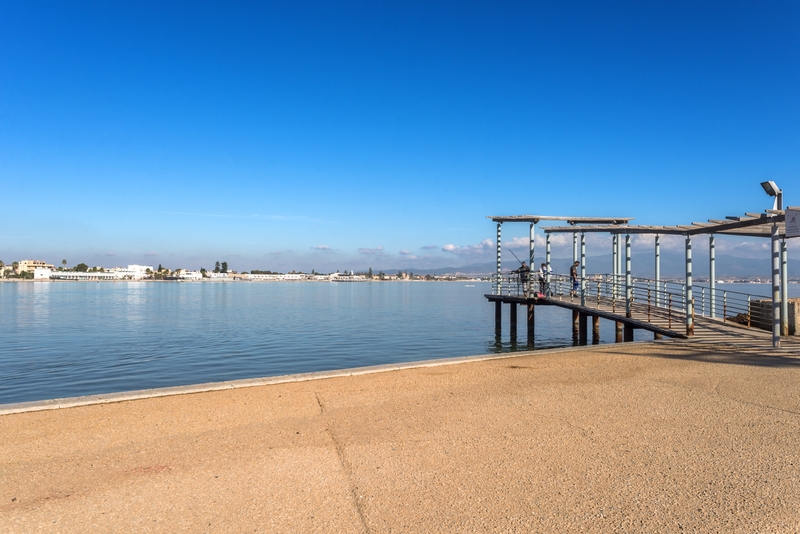 The sandy shore has a modern promenade behind it, where you can take long walks, on foot, on roller skates or by bike, while the characteristic little kiosks by the beach offer refreshments and entertainment. There are easy and convenient links to get to the town and the services are efficient: from the bathing establishments to the diving centre, the sailing schools, beach tennis and volley courts, restaurants and commercial activities at the amusement park. 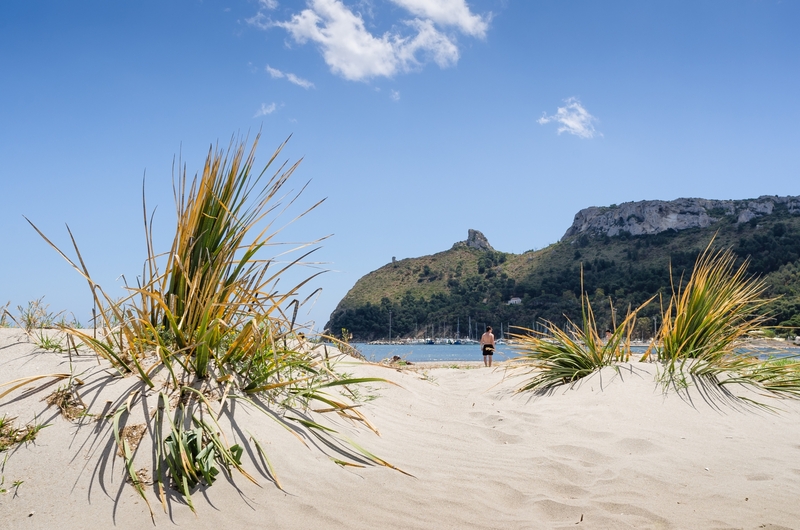 Poetto is also a centre of nightlife, especially in the summer: live music, clubs, dancing lessons and other attractions. The coastline borders with the Molentargius-Saline Park: from here, you can admire the flamingos or tour the park by bike. 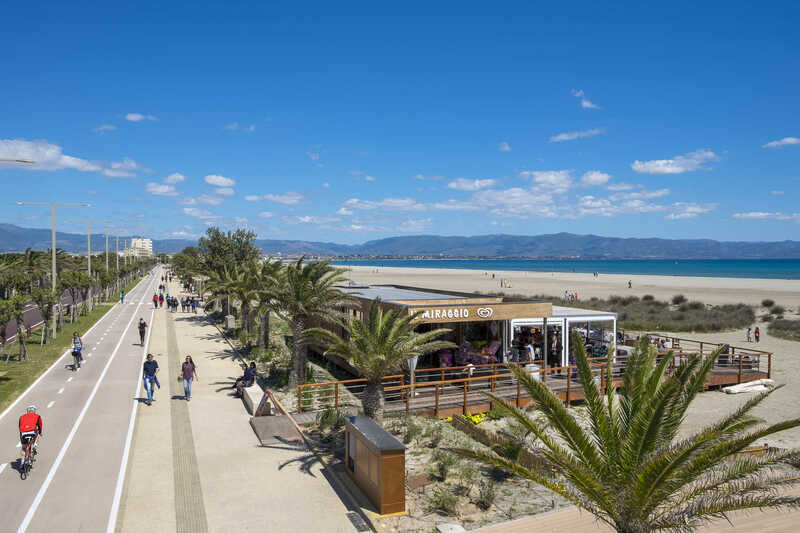 The Cagliari part of the beach is divided into 'stops', stemming from tram stops, which were replaced by buses in modern times. The 'first stop' has a very shallow seabed, the 'second' and 'third' are the place in which the historic establishments of D'Aquila and Lido are located, the public security forces are at the 'fourth' stop, while from the 'fifth', where the Spanish tower stands, to the end of the line, there is a vast stretch of 'free' beach. The boundary with the coastline of Quartu is La Bussola, named after a restaurant establishmentwhich was active in the past. From here, the free beach continues on with a series of welcoming and well-equipped establishments. 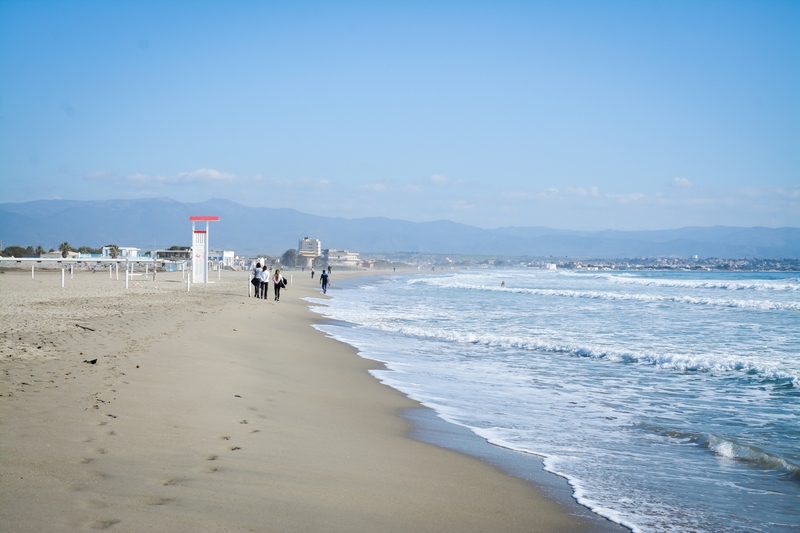 From Cagliari's city centre, take Viale Diaz, then continue along Viale Poetto, and you will soon reach the beach, which stretches about 9 km. 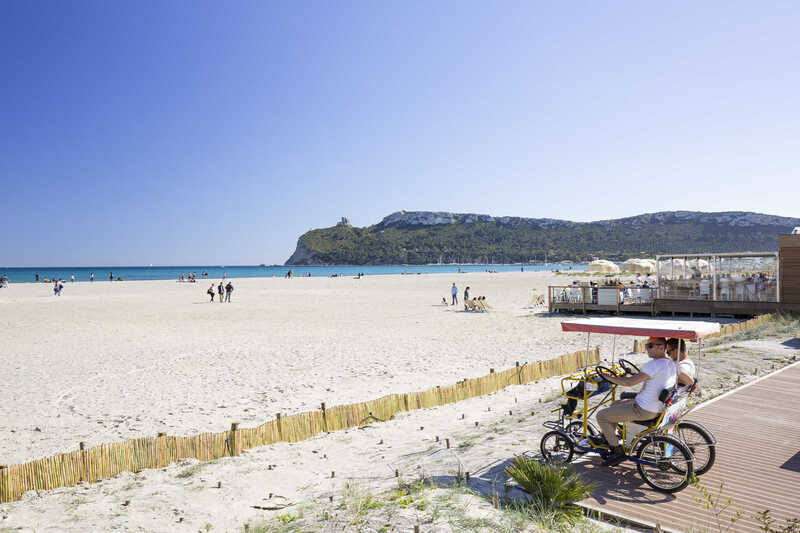 The beach belongs to the municipality of Cagliari up to the point where the coastal road is intersected by the Viale Colombo of Quartu: from this point to its end at Margine Rosso the beach belongs to Quartu Sant'Elena.